We believe in making commerce easy for everyone. The world will be a better place when anyone, anywhere can create an innovative product and build a successful business, effortlessly. There are more than 440 million small and medium businesses in the global economy and they employ more than a billion people. These companies form the very heart of our society and drive economic growth. We want to make the operations side of scaling a business easy so that business owners can focus on what they're good at: creating and selling products. That is why we are on a mission: to create a commerce platform that enables millions of entrepreneurs to build the business of their dreams. Access to the internet is the great equalizer, and because of this the world of commerce is undergoing seismic shifts and so are consumer expectations. Consumers now expect that they can buy anything, anytime, anywhere. We call this phenomenon “commerce everywhere” and this has put tremendous pressure on the supply chain. Not everyone will survive. Undifferentiated, “me too” brands and a lot of middlemen will die. But as always, the way to win is to have a strong brand identity that stands for something, a business that connects with and cares deeply about it’s customers, a strong operational infrastructure to support the business and a great end to end customer experience. At TradeGecko, we aim to free business owners from the operational complexity of running their business to spend more time building a brand their customers will love. The company was founded in 2012 by three New Zealand entrepreneurs, brothers Cameron and Bradley Priest along with Carl Thompson, who set out with a simple, yet powerful goal: to help enable every commerce entrepreneur to build and scale an amazing business. The founders saw an opportunity in Southeast Asia and moved to Singapore to be incubated by the country’s premier technology accelerator, JFDI. 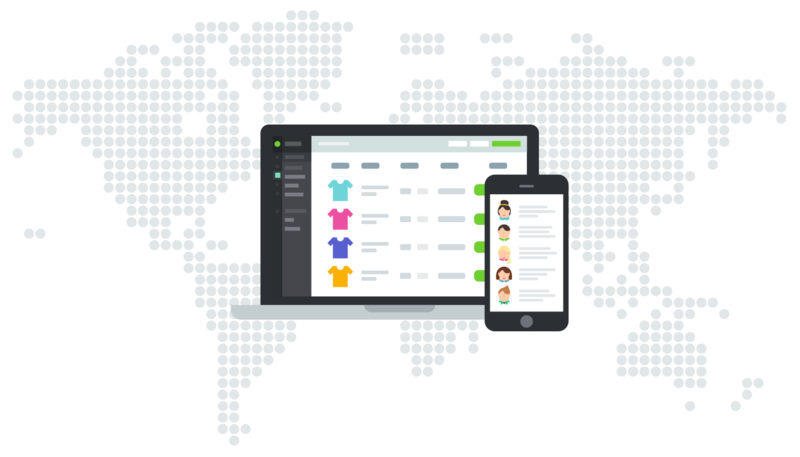 Previously running businesses ranging from retail apparel to web design, TradeGecko was born out of a frustration of being unable to efficiently manage and track retail inventory and warehouse administration. The goal was to build software that would power the entire backend operations of growing small and medium wholesale and eCommerce businesses empowering them to become as fast and efficient as the world’s biggest online stores. And to do it with software that was elegant, integrated, and easy to use. TradeGecko provides a powerful cloud-based commerce platform for growing companies. We are at the heart of our customers’ workflows. Our software runs the back office, and provides vital operational information to other business-critical software systems while connecting with supply chain partners in real-time. We seamlessly manage complex workflows and scalability requirements. TradeGecko supports businesses that operate with multiple users, sales channels, warehouses, currencies and tax requirements, as well as CRM tools and integrations that are essential to business including accounting software, marketplaces, and many other tools. We enable our customers to sell more product in more places, more often. We work with thousands of amazing commerce businesses in over 90 countries who transact more than USD 3.7 Billion value of goods using our platform. Customers who are running their business operations on TradeGecko cover a wide range of industries including fashion & apparel brands, cosmetics, health & wellness, food & beverage and many others. TradeGecko is a global company with customers around the world. From our headquarters in Singapore to our offices in Toronto and Manila, the team at TradeGecko come together with a common purpose - to help our customers get out of their cubicles and offices to focus on what they love doing best: building amazing businesses.